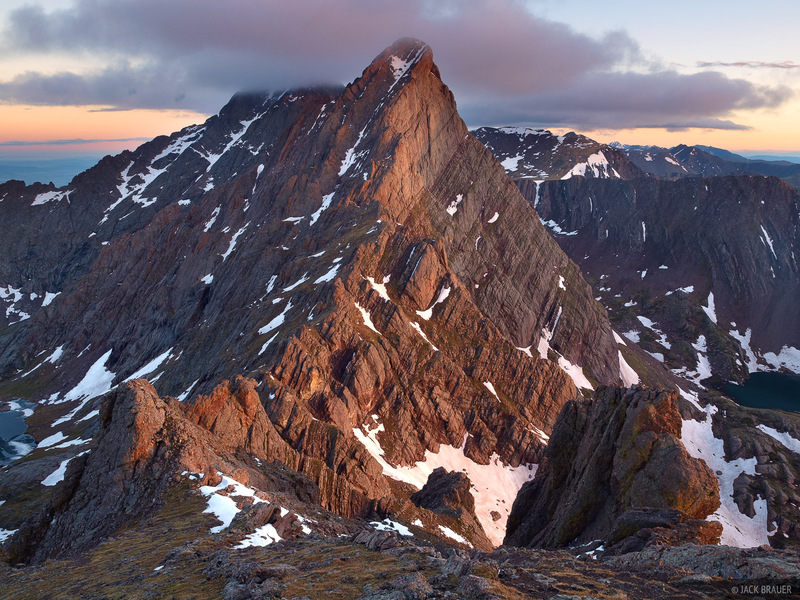 Sunrise light illuminates the Crestone Needle, 14,197 feet, as seen from the summit of Broken Hand Peak, 13,573 feet. June. 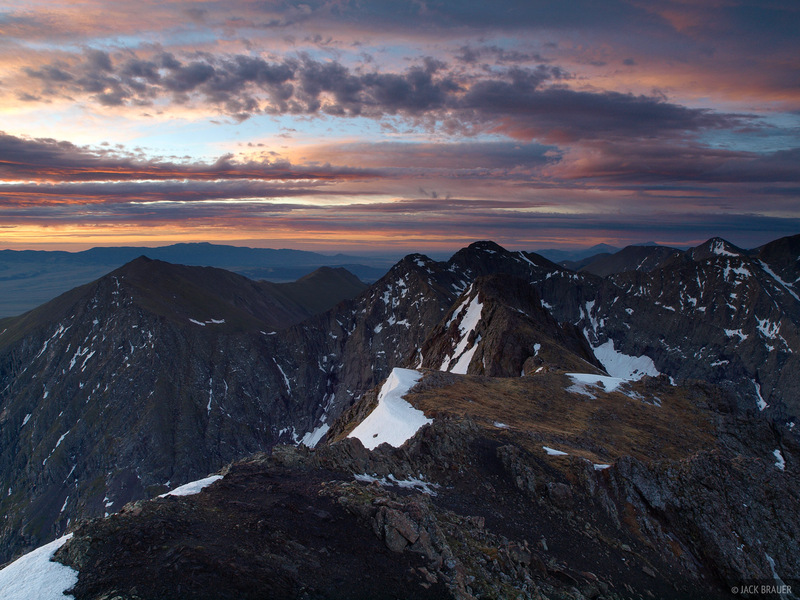 Awesome sunrise as seen from the summit of Broken Hand Peak, 13,573 feet - June. 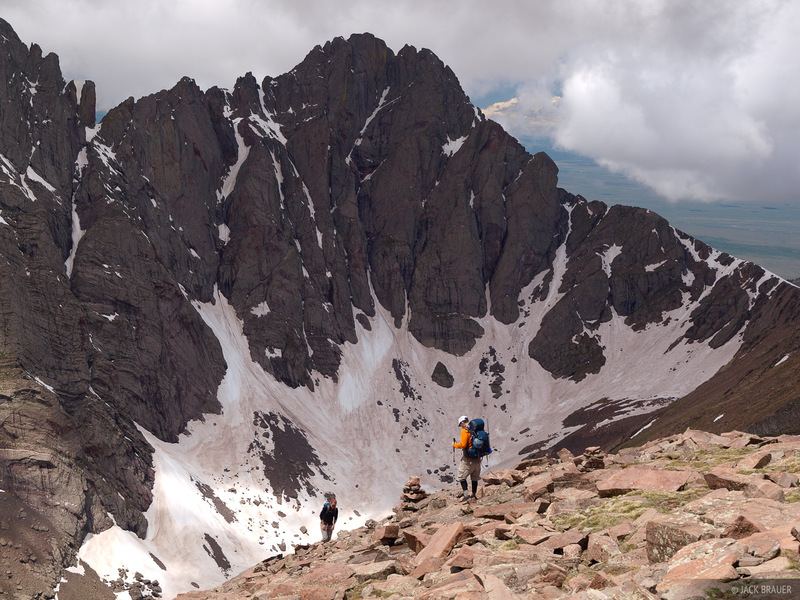 Hikers on the slopes of Humboldt Peak, with Crestone Peak towering behind - June. 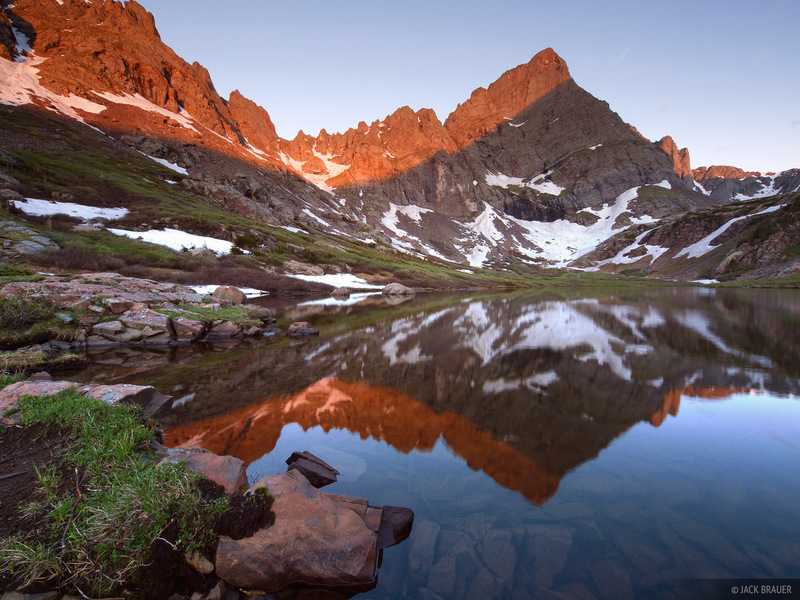 Posted in Backpacking & Trekking, Colorado and tagged Colorado, Sangre de Cristos, 14ers.